1970 Corvette C3 Big Block LT-1 Hood stripes make a beautiful car even better. 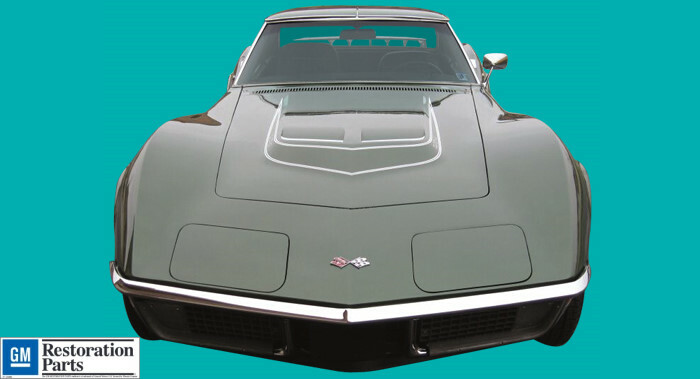 This multi-piece stencil kit will enhance any Big Block/LT-1 Corvette C3 Hood. Our pre-molded, exactly contoured, OEM specification stencils are a breeze to apply. Kit can be purchased with or without LT-1 hood decals. All decals are made from 2Ml, CAST, automotive grade vinyl ensuring longevity and extremely high quality.